There are quite a few messaging apps that are vying for your attention these days. Interoperability is not a strong suit of either of these messenger apps. This means you cannot send a message from WhatsApp to Hike or vice versa. For most people, the choice is really simple. We use the messaging app that all of our friends and relatives use, even if it is not the best one. Today, we will be comparing two messaging apps: WhatsApp and Hike. WhatsApp has a first mover advantage. It was arguably the first successful cross-platform messaging app. 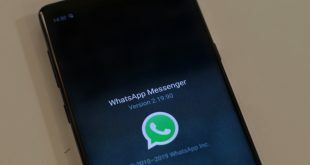 While other messaging apps have made headway by offering more features, WhatsApp received a ton of updates in the last year to bring it up to par with the growing competition. WhatsApp has a user base of 1.5 billion. 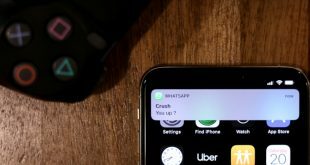 Hike offered stickers long before WhatsApp did and offers several other features like polls, checklist, hidden mode, and ability to create larger groups. 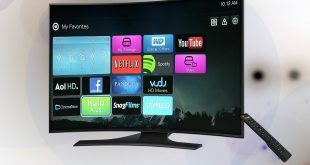 These features have helped Hike acquire a small piece of the cake. With over 100 million users, Hike is growing slowly but steadily. WhatsApp requires your phone number in order to be able to use app. By design, one mobile number can be assigned with one WhatsApp account only, so you cannot use the same account on two separate smartphones. If you have a dual SIM phone, you can install WhatsApp twice using apps like Parallel Space. Hike works in similar fashion and needs phone verification. Both apps are easy to set up and you can begin sending messages and making calls in no time. There is almost no learning curve involved. Both the apps are under 30MB when installed, however, size may vary depending on your smartphone. Also, note that because both the apps are used to share media files, they will need more space to download and store them. Both WhatsApp and Hike allow you to send text, images, and videos to individuals, in a group or to more than one individual at a time. Hike also allows users to send SMS to users who are not on Hike. There is a 100 SMS/month limit but Hike notes that the number increases as your usage of Hike increases with no upper limit. You can make voice and video calls on both Hike and WhatsApp. WhatsApp limits group calls to 4 people at a time and Hike keeps the number at 100. Though I am happy that the limit is far higher on Hike, calling that many people on a single call will need a really fast Internet connection. In case of video call, you can’t really fit 100 faces on a mobile screen. Still it is better than WhatsApp’s 4 contacts limit. There are other limitations too. 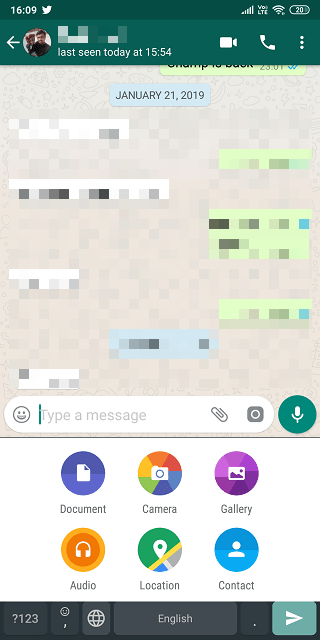 In WhatsApp, you can’t forward a message to more than 5 people at a time. This was done to curb the spread of fake news that is rampant on the platform. It took a serious turn when some innocents were lynched in the Indian subcontinent after a fake story did rounds on WhatsApp. Hike has no such limit prescribed. Hike restricts attaching files to 100MB in size whereas WhatsApp restricts it to just 16MB. By default, images and videos are compressed to save bandwidth which makes WhatsApp unsuitable for sharing high-resolution media files. A lot of people use messaging apps to share files. Hike makes it easier with Hike Direct where you can share files even without an active Internet connection. You can also send messages offline. The recipient has to be in a radius of 100 meters for Hike Direct to work. You don’t need Xender anymore. While there is an option to share documents via WhatsApp, there is no native support for the same. Hike, on the other hand, can handle most document formats like word, excel, and powerpoint. 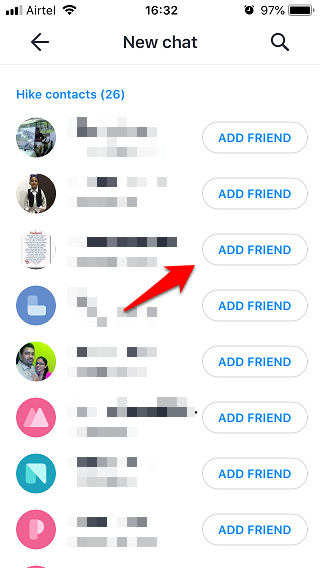 You can create groups in WhatsApp with a max of 250 members which is rather small compared to Hike which allows adding up to 1000 members in the group. WhatsApp allows you to delete messages you have sent within a period of 13 hours even after the receiver has read the same. Hike has not mentioned any time limits for deletion of messages on its site so you will have to test it to find out. Both Hike and WhatsApp allow users to share their location live, transfer money, and share contact details with each other. This is where Hike leaves WhatsApp behind. 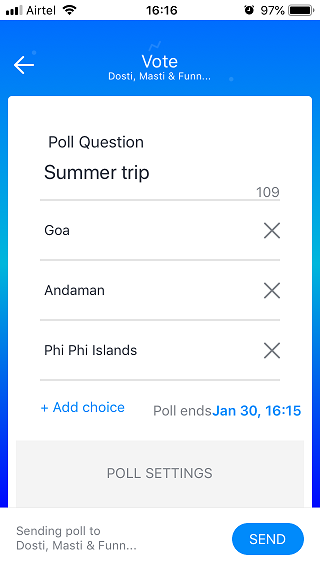 Hike also allow users to create polls to collect feedback so you can vote on your next summer trip. Went out for lunch? Hike will let you split the bill with friends so you can pay accordingly. Fan of using to-do apps? Hike also comes with the ability to create events and set reminders so you will never forget that rock concert you planned with your friends over a coffee. What’s more? These features also work in groups so you can work together as a team. WhatsApp recently launched stickers but Hike has had them for years now. Both the apps allow you to create your own stickers but Hike’s catalog is arguably larger with over 20,000. I think WhatsApp will quickly surpass that number given the large user base the app enjoys. Both WhatsApp and Hike will let you create stories, like in Instagram, where you can share your life’s important moments for up to 48 hours. Both the apps allow the use of filters to create interesting effects before you can add to stories or share them with friends. Where Hike differs is the use of live filters where the app will scan your face and add filters in real time for you to choose. Oh, almost forgot! Love doodling? Hike got you covered. In WhatsApp, once you have saved someone’s number to your phone, you can send him/her a message. This means anyone with your number can call or message you on WhatsApp. On Hike, you will first have to send a friend request and if it is approved, only then can you chat. This gives you more privacy and freedom to choose who can connect with you. Even if a stalker finds your number somehow, he/she can’t invade your privacy by sending messages or initiating calls without your permission. Hike also lets you set profile IDs which can be alphanumeric. This allows people to chat with one another without having to share their mobile number. This can be useful for those one-off conversations with unknown people where you may need to communicate with them, but don’t feel comfortable sharing your number yet. Hike IDs can be changed later. Both WhatsApp and Hike will let you hide your profile pic, status update, last seen, and block contacts in order to stop people who are not in your contacts from viewing and collecting info on you. I really wish WhatsApp could adopt the profile ID system like Hike. Finally, both Hike and WhatsApp uses end-to-end encryption to protect messages that are sent and received on their servers. Hike Messenger is trying to gain momentum and user base by offering more features than users know what to do with. For example, you can now get your daily horoscope in Hike. 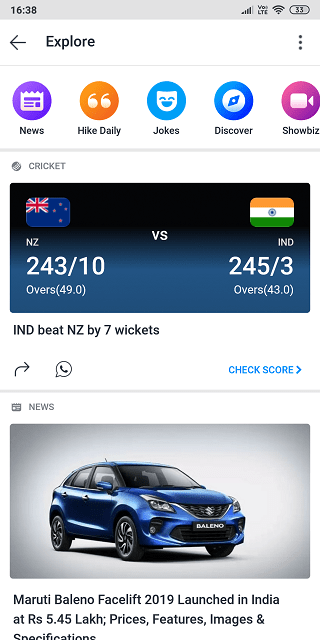 You will also receive news and even live cricket scores in the app which is pretty useful if you follow the sport. You can choose to unsubscribe if you want. Then there are the coupons that can be redeemed. While all this is good, it also raises a question. In order to send all these personalized news, coupons, and other updates, what kind of data is Hike collecting and how much of it is being shared with its partners? Personally, I would like to opt out of these additional services. Thankfully, there is an option to do that. There are dedicated apps for all this that do a far better job and we use them anyway. Let’s just stick with communicating, shall we? 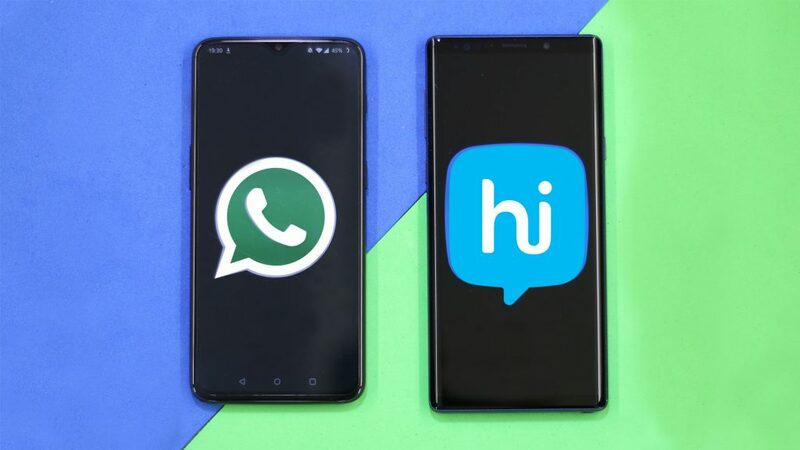 While both WhatsApp and Hike are available on iOS and Android, WhatsApp takes the lead here as it is also available on the web. You cannot use Hike in a browser. 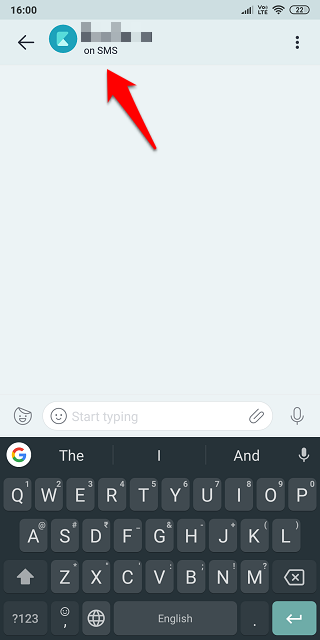 WhatsApp also has native apps for both Windows and MacOS which makes it easy to chat and share files using your desktop. If you are looking at features, Hike is clearly leading the race here. Additional features like polls, reminders, and to-do lists can be really helpful when planning group activities. Pretty much everyone is using messaging apps for planning events these days. But like I said before, if your friends are not using Hike, you are better off with WhatsApp. I would recommend you to ask your friends to try Hike so they can test the app first hand.